Some of the things presented on this blog refer to the terms pain threshold and pain tolerance. After thinking about it for some time, I came to realize that some of my readers would have no idea what I am talking about! If you didn't know any better you might even think that they were just two different ways to say the same thing. So, today, I am going to clear that up for you. Pain threshold refers to the "least experience of pain that that a person can recognize." Of course, this varies from person to person. Depression affects a person's pain threshold in the sense the pain threshold is reached earlier in a person with depression than in someone who does not have depression. You might visualize the pain threshold much like crossing the threshold at the entrance of a house or other structure. 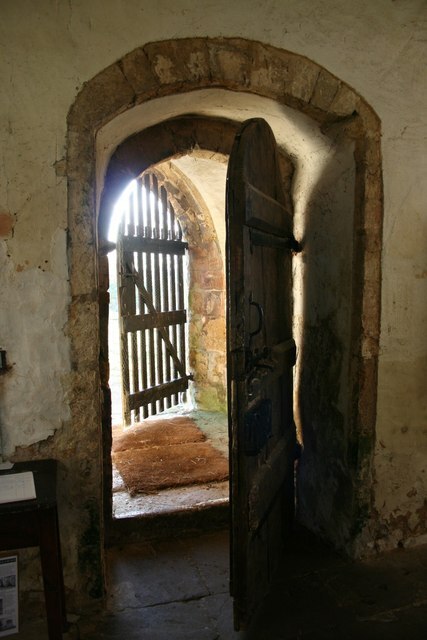 As you approach the doorway, you are still outside (outside the realm of pain); once you step across the threshold you are inside (inside the realm of pain). Pain tolerance , on the other hand, refers to an upper limit. It can be defined as "The greatest level of pain that a person is prepared to tolerate." Again, this is subjective and will probably not be the same from one individual to another. As in pain threshold, pain is less tolerable to an individual with depression than it is in depression free persons. This can be visualized by visualizing the ceiling of a room. Does the room (pain tolerance) have a low ceiling (low tolerance for pain) or a high ceiling (higher tolerance for pain)? In the realm of pain management, this is all important for a number of reasons. For one, a low pain threshold and/or pain tolerance may be suffering from depression. The depression could be a preexisting condition, or it could actually be caused by a chronic illness/chronic pain condition. In either case, addressing depression issues will improve the patient's pain threshold and pain tolerance.